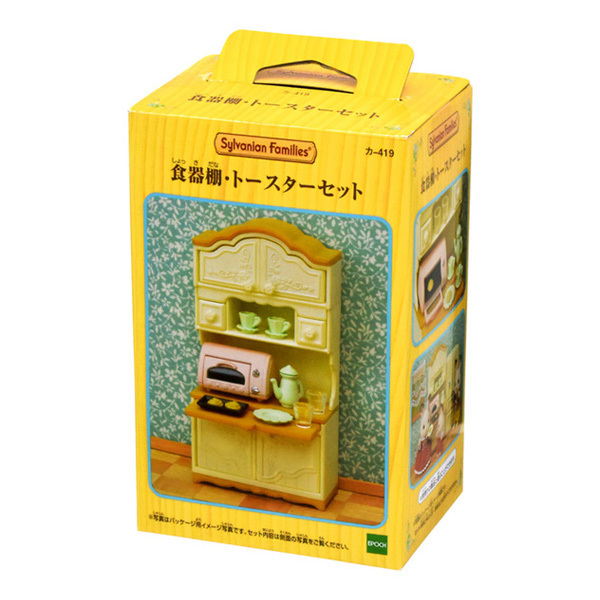 This set includes a kitchen cupboard with lots of storage space, a toaster, cookies and tableware. 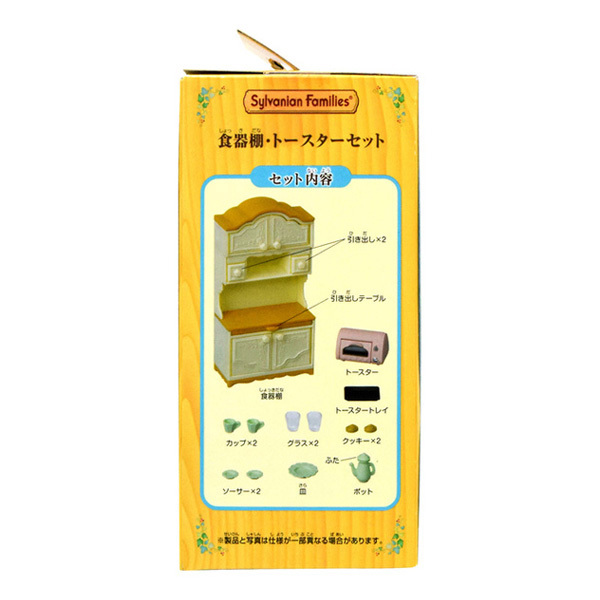 With its doors, drawers and a pull-out style table, this kitchen cupboard can hold a lot. 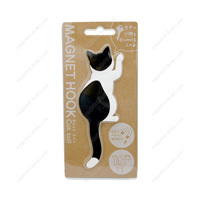 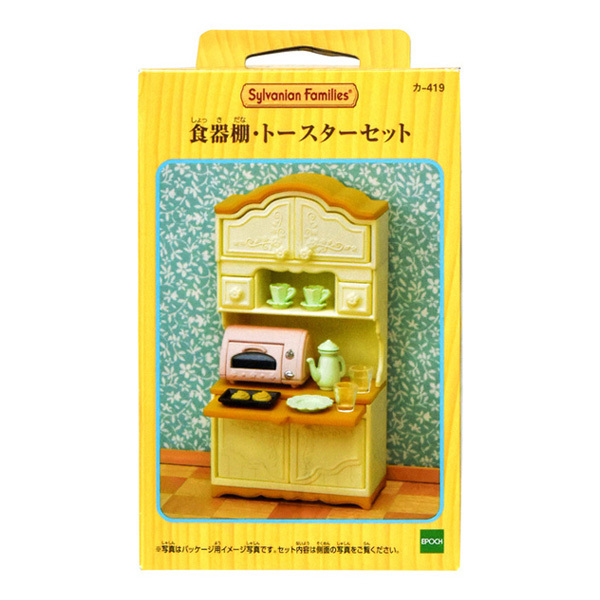 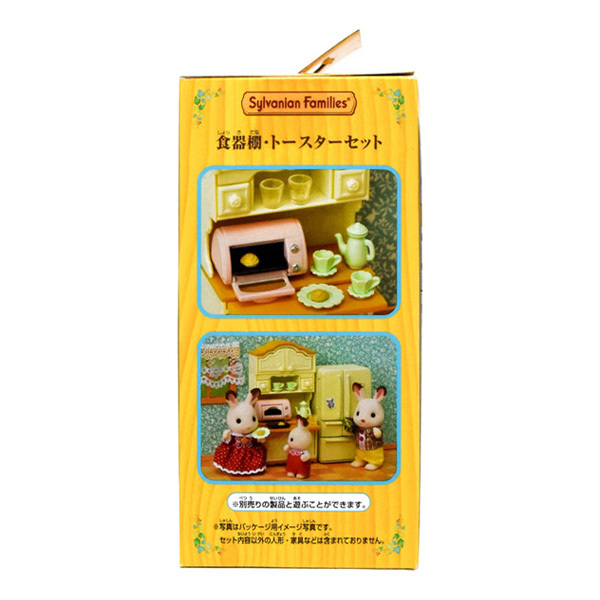 With this fun set, you can enjoy baking cookies in the toaster, making tea in the pot & more!